What’s it like to fly on a Boeing 787 Dreamliner? 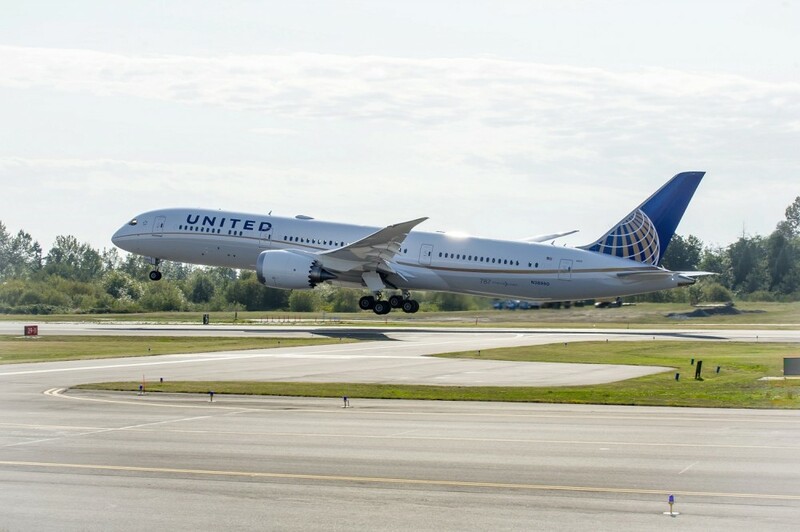 I recently flew United’s 787-9 Dreamliner on what is currently the longest 787 route flown by a U.S. airline, between San Francisco and Singapore. It covers 8,446 miles and takes 16 hours 20 minutes going to Singapore. I flew the opposite way, on my trip home from Asia, which clocked in at a slightly shorter 15 hours 30 minutes. Here’s what it was like. The seats in business class on United’s 787-9 are arranged 2-2-2, and are staggered slightly to offer some privacy when you’re reclined. My home for 15 hours and 30 minutes. I slept wonderfully. 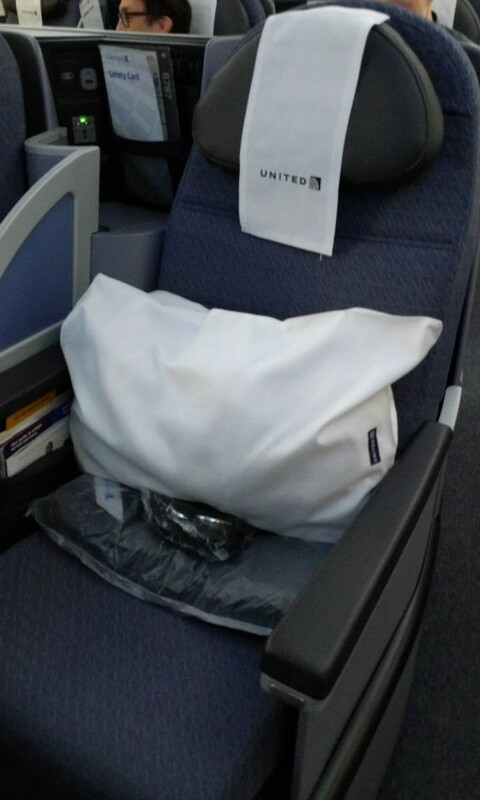 The seats are 20.6″ wide (the widest BusinessFirst seat United offers) and truly go flat, so you can sleep pretty well on them; and they are adjustable in various ways so you can recline or raise your feet to keep comfortable when not dozing. The blankets are duvet-style, cozy without being too heavy, and the seat cushion is plush enough that you don’t feel the bones of the seat when you lie down. I had an aisle seat in the middle section of the first row. If you prefer the window spot, keep in mind that they are the only ones without direct aisle access, and you can find yourself trapped when your seat neighbor is fully reclined. This problem isn’t unique to United; I had it on my Qatar Airways flight too; and it’ll be solved when United launches its new Polaris international business class product in December of this year. The Polaris premium cabin reboot will feature new seats that are more like private pods and that will have custom bedding from Saks Fifth Avenue—with new pillows! 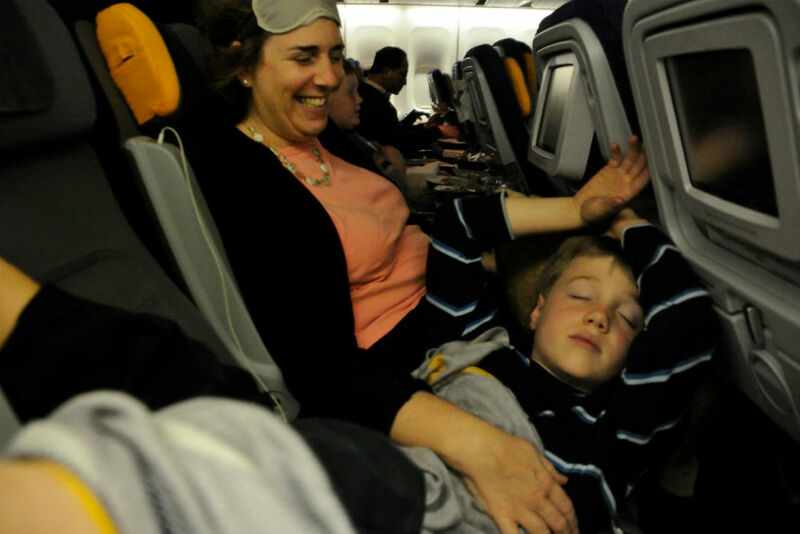 This is great news because one of my quibbles with United’s long-haul business class is its uncomfortable pillows. That may seem like nitpicking, but it’s surprising just how much a bad headrest can affect your sleep. The current pillows feel like loose sacks of lumpy cotton balls. 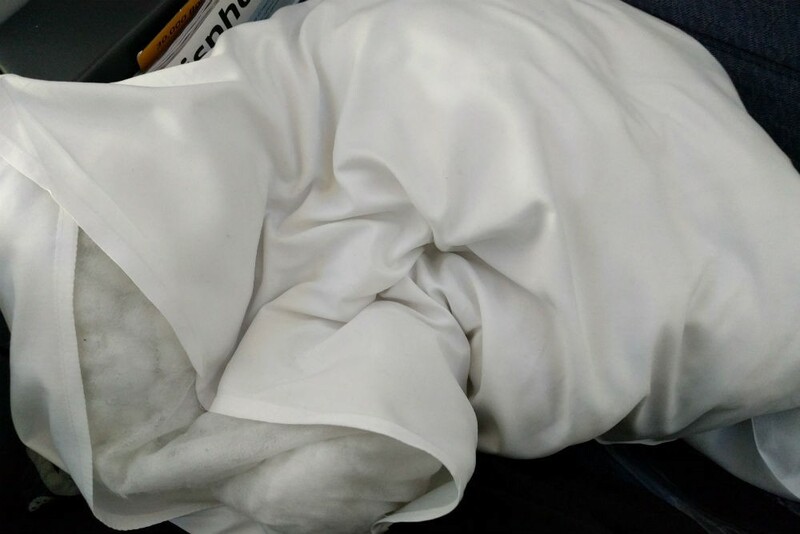 In the future, flights outfitted with the Polaris design will give passengers the choice between the snazzy Saks pillow and a cooling gel pillow (they’ll also be able to request a mattress cushion). 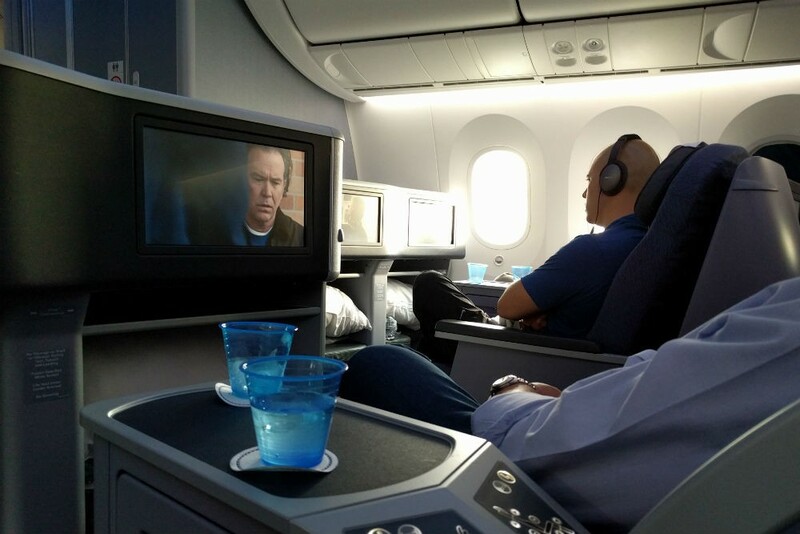 The BusinessFirst cabin on United’s 787-9 Dreamliner, flying from Singapore to San Francisco. Every BusinessFirst seat on the 787-9 has a personal power plug, a USB port, and a set of noise-canceling headphones that fit into that two-holed jack at left. You can plug your own headphones into a single hole, but the sound isn’t as good. The seats recline a full 180 degrees, but you can set them in just about any other position too, including adding extra lumbar support. 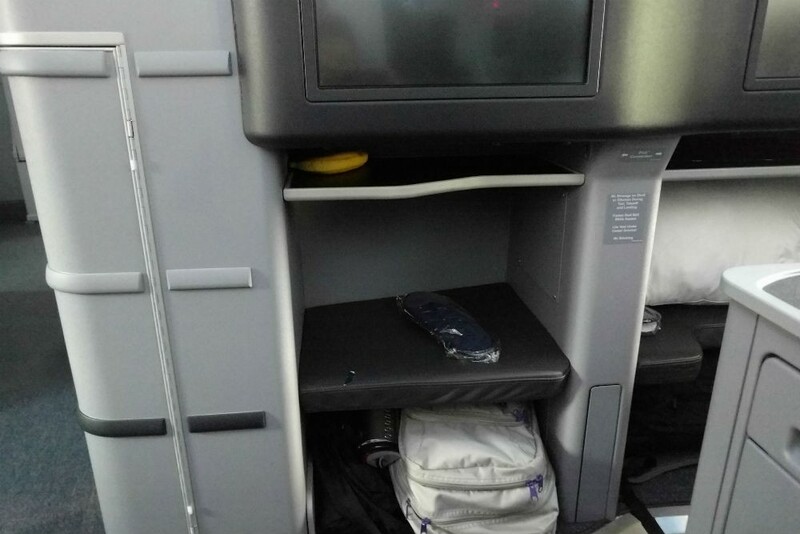 Lots of room for your legs, and a convenient cubby for your stuff. When your seat is fully extended you won’t be able to access the bottom cubby, and if you’re tall, your feet might be inside the second one. Loved the mini banana-sized shelf at the top. Came in handy! Thanks to several of the 787’s features, and the flight crew’s smart use of them, it’s very easy to get a good night’s sleep on this aircraft, and therefore to feel less jetlagged. To start with, the cabin pressure of Boeing’s Dreamliner makes it feel like you’re at only 6,000 feet instead of the usual 8,000. That makes a big difference in how dehydrated and dry you’ll be after 15-plus hours in the air. Next, the lighting is much gentler and can be adjusted to different colors (blue, orange, etc.) to make your brain subtly register that the day is passing. The windows help with this too. Windows on the Dreamliner are bigger than what you’re used to on other planes—and the shades can stay open during the entire flight, thanks to a special tinting material within the windowpane itself. The feature can be tuned to mimic different times of day, so even though we took off at 8:45 a.m., the crew made it look like night after a few hours so that we could all switch over to San Francisco time more easily. And it worked for me—I adjusted time zones without any problem when I arrived; and I am embarrassingly wimpy when it comes to jet lag, no matter the direction of travel. As a bonus, the special windows mean that whenever you are awake you can still look outside rather than having to stealthily crack the shade up and hope you don’t bother your snoring seatmate. 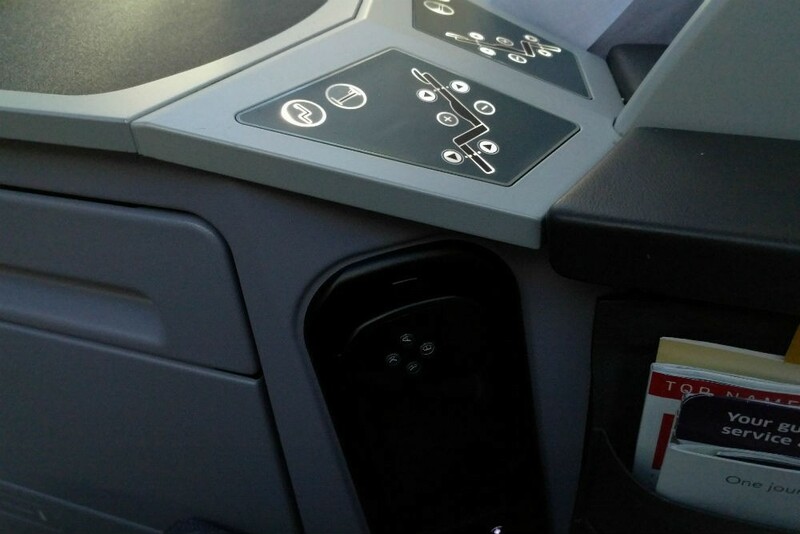 I’ve already mentioned the 180-degree lie-flat bed (thumbs up), and I also appreciated the easily reachable USB port, power outlet, and headphones in every seat. I’m also a sucker for a cool amenities kit, and I love the commemorative Rio Olympics-themed kit United is using this summer; it’s packaged in a cool tin shaped like the body of an airplane. The lotion and lip balm are from Soho House’s luxe Cowshed Spa, and the eye mask is comfortable cloth instead of nylon; the rest is the usual toothbrush, toothpaste, etc. Big plus: The bathroom sinks and toilets are touch-free. This should be standard in every bathroom on every plane everywhere. Genius. For entertainment, each business-class seat has a nice big 15-inch TV screen, but the screens are missing a key design feature: privacy overlays. This means you can see everything on everyone else’s TV at full brightness. From my seat in the center section, I could not help but see all five of the other screens in my row. In an aircraft that takes such care to create soothing cabin lighting and a relaxing environment, this was a surprising (and surprisingly bright) oversight. Regardless, I was perfectly happy binging on bad action movies and TV shows in my cozy recliner until I fell asleep. Someone forgot to add privacy filters to all of the BusinessFirst TV screens, so there is no way to not see what everyone else is watching. This was particularly disruptive when the cabin was otherwise dark and I was trying to sleep. Those screens are bright! You can control your personal TV either by this handheld device or by touch-screen. We each received this commemorative amenities kit, made special for the Rio Olympics. 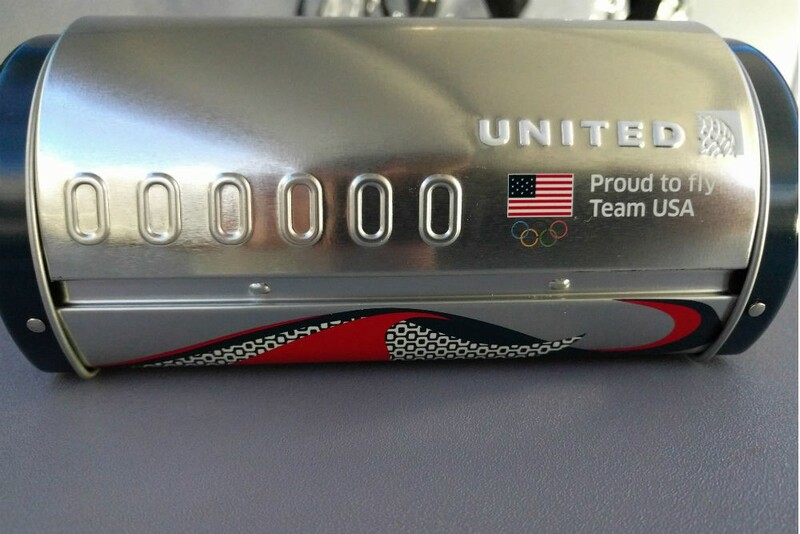 United is the airline sponsor for Team USA. All the goodies in the Olympics-themed amenities kit. 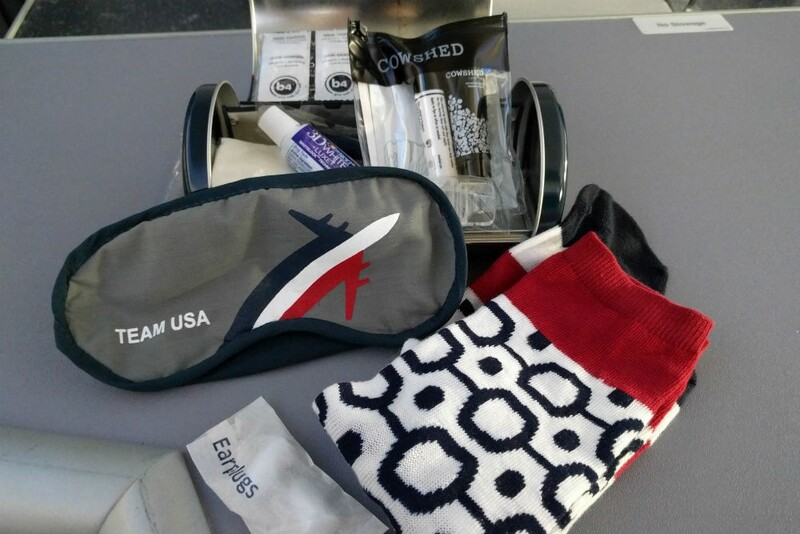 Not only is the tin special, but the cloth eye mask and patterned socks are inspired by Team USA too. No one will be surprised to hear that the food isn’t very good. 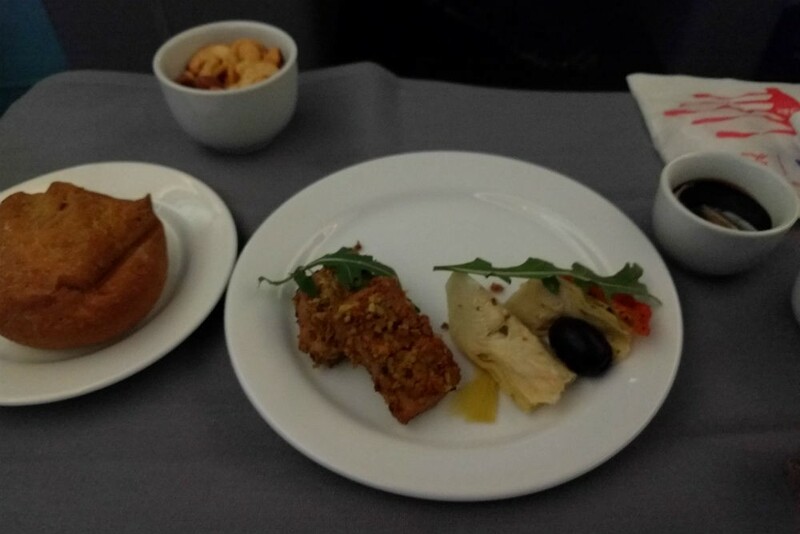 But when other airlines are elevating inflight dining, even in coach, it seems fair to expect that a business-class meal on a premier new plane would be at least edible. If only. Over the course of my three-month trip in Asia, I flew seven airlines; most of the time I was in coach, and United was the only U.S. airline I took. 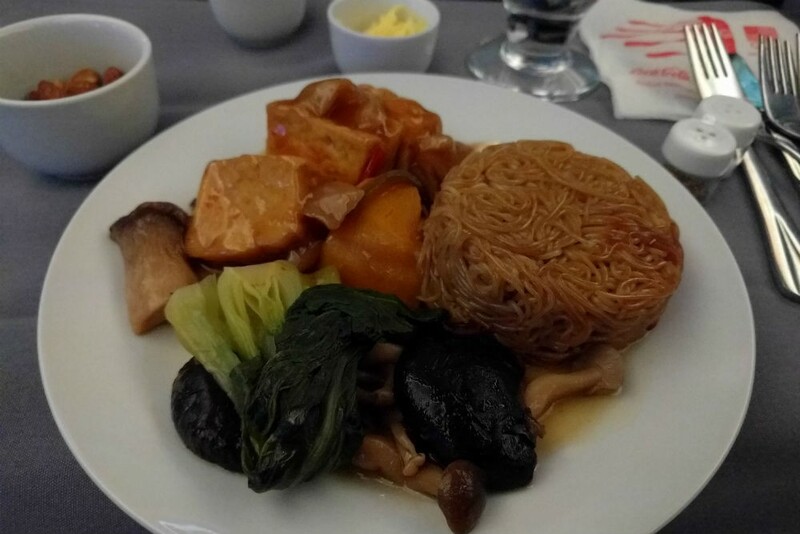 On every flight—even a domestic-China trip that was less than two hours—I was served a meal, and it was pretty good. So I’m just saying: It is possible. Even for vegetarians. On this flight, I didn’t touch my special meals (one course had chicken in it, and the other was just really unappetizing). And for breakfast, the only vegetarian option is cold cereal. Which is weird because if you don’t drink milk, your meal is just dry corn flakes with a banana. 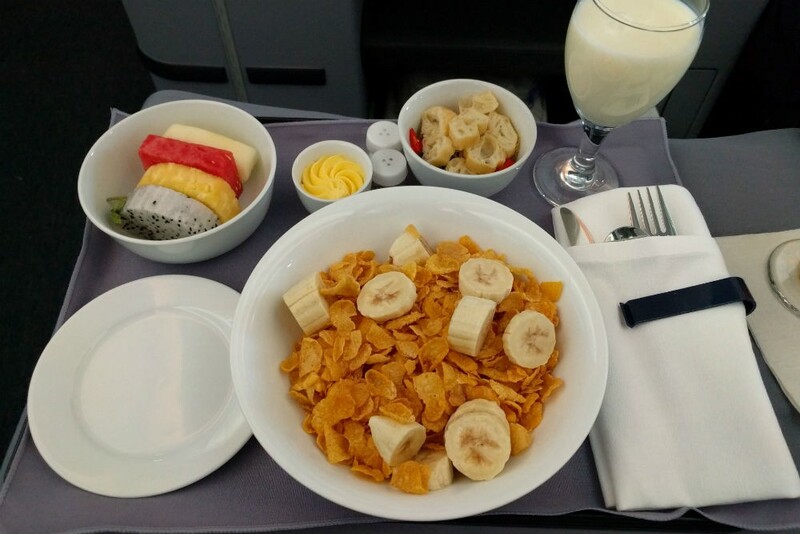 Oh, wait, mine did come with a small bowl of the congee toppings; when, confused, I asked a flight attendant what it was, he said “I don’t know.” I figured it out by putting a heap of shredded ginger in my mouth. That’ll wake you up. To be fair, it’s not just this flight that has challenges with special meals. Lots of airlines suffer, and United, despite its partnership with the Trotter Project, has not figured it out yet. Maybe there aren’t that many of us vegetarians or special-meal requesters, but if an airline kitchen is going to make the effort (and believe me, I so appreciate that they do), how about some input from the passengers who have to eat it? Call me, United, we’ll talk. The mystery appetizer, which may or may not have been chicken. The small cup of warm roasted mixed nuts in the top left corner is my favorite though—they could just feed me that and I’d be happy. Sounded good on paper, wasn’t good in reality: vegetarian braised tofu with mixed vegetables in sha cha sauce. Glad I brought my own PB&J instead. The only vegetarian breakfast is cereal. I don’t drink milk, so I ate it dry. You could add those congee toppings in the bowl, but it’s not quite the right complement for Corn Flakes. 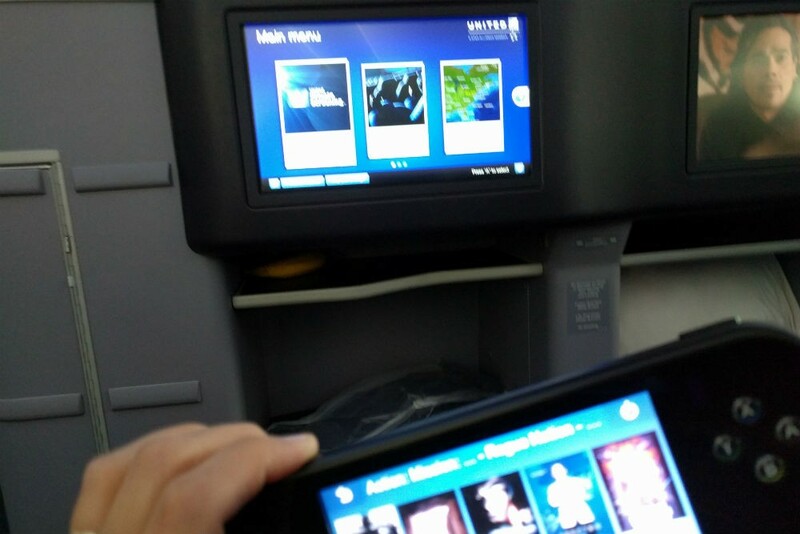 United’s 787 experience made all the difference in my long-haul return flight. I slept so well, and the aircraft environment was so comfortable, that the 15 and a half hours went by pretty quickly. 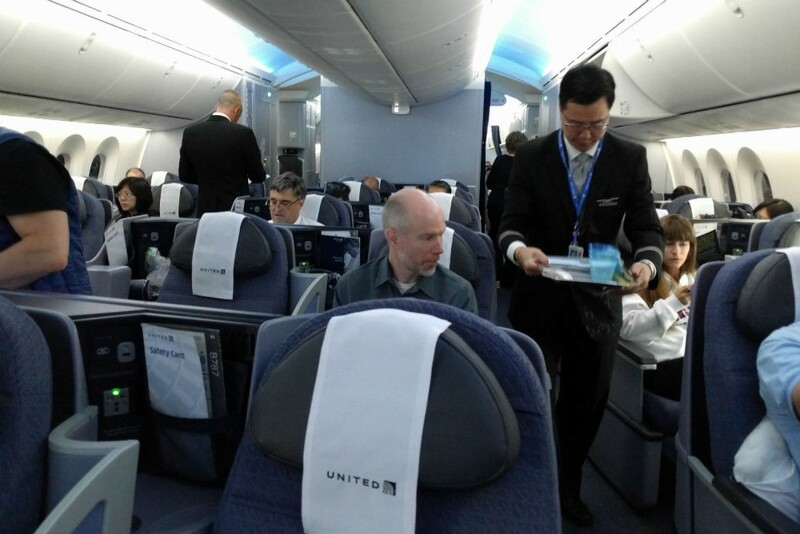 If given the option to take a 787 on a long-haul flight, I would definitely choose it, and I can’t wait to see how United improves its already enjoyable business class later this year when it rolls out Polaris. *Full disclosure: My flight was fully paid for by United. 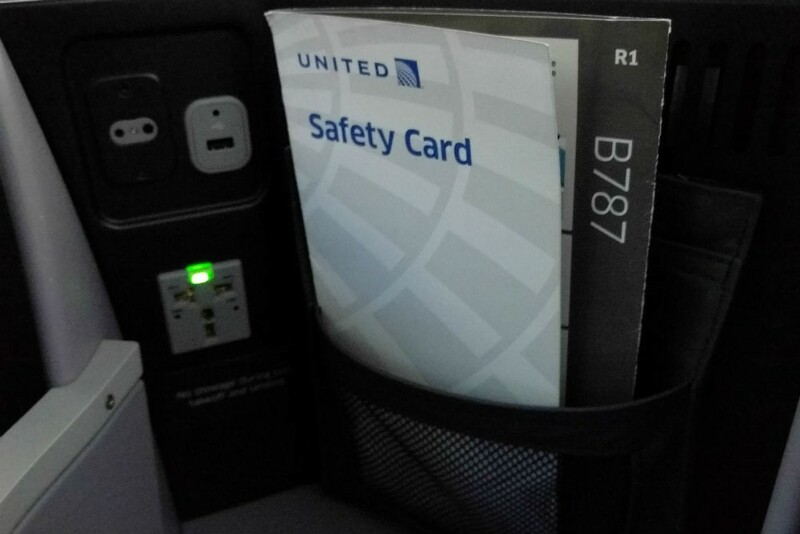 The airline’s SFO-SIN route was introduced July 1 and as part of the launch, I was invited to take the flight and review it. As I already had a trip to Asia planned, I accepted the offer. Wendy and I both fly United often and felt comfortable that we could represent a fair picture of this experience. TKs Wendy on your flight review on United Airlines Dreamliner. My husband and I are flying on it New Years Eve to Melbourne Australia. I will remember to take my travel pillow. I will be celebrating my husbands 90th Bday and 60th wedding anniversary and 65th anniversary of my first flight as an American Airline Stewardess. A long way from a DC3. We will be taking a two month cruise on our favorite Crystal Cruises Symphony. I enjoy your travel site. Thank You!!! Your article describing your experience in Business Class on a long international flight was very interesting. Unfortunately, that’s about as close to flying Business or First Class that I will ever come. 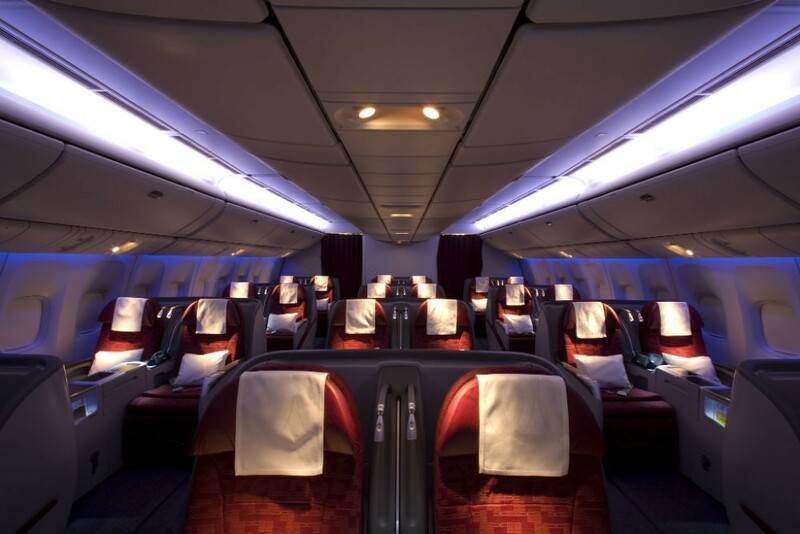 The difference in the cost of flying Business or First Class compared to Coach is mind-boggling! I flew that exact route (outbound) right after it started. I agree with this review (especially the food). However, there are other 787 business configurations that are 2-4-2 instead of 2-2-2. The tighter configuration is extremely cramped. I flew it on ANA on another Singapore trip last November. I am skinny and while the seats were lie flat, they were almost form fitting. Anyone flying Business on the 787 should check the seating configuration.